Although my alarm went off at 6:30 am, it took me until after 7:00 am to get everyone up and moving. We packed up the room and loaded up the car. After checking out, we grabbed some breakfast burritos and sandwiches at the store in the main lodge. Heading back to Yosemite Valley, we parked at the Ahwahee Hotel. Unlike Saturday afternoon, there was lots of parking! The plan for the day was to ride bikes around the valley. We brought three bikes with us. It took me a while to unload all of the bikes and get everything put together. It was about 9:30 am when we hit the trail. 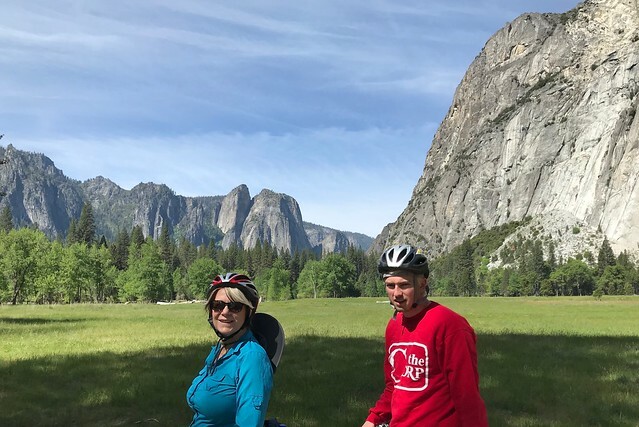 Sharon and I rode bikes around the valley when we were here in 2009. It is a very cool way to explore the valley. 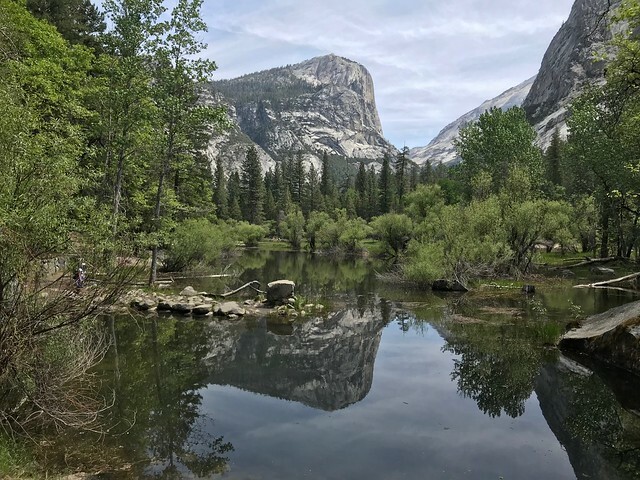 We made stops at the Visitor Center, Yosemite Falls, Yosemite Lodge (to buy a lock), the Curry Village store and Mirror Lake. We parked the bikes at Mirror Lake. To my surprise, we ended up hiking more than three miles to the Tenaya Creek Bridge and Back. Sharon and I did this hike in 2009. 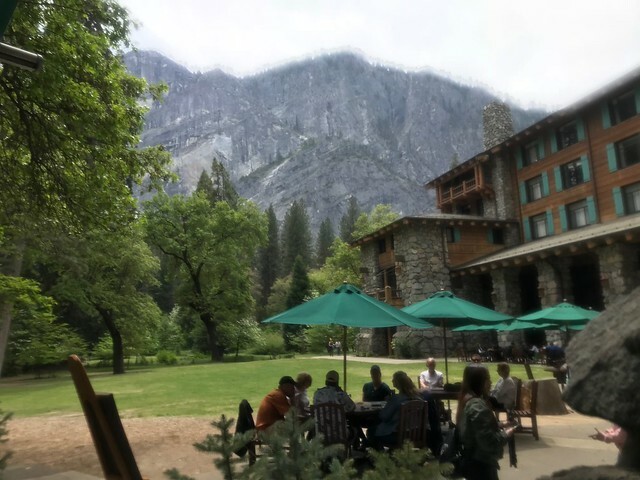 After the hike, we biked back to the Ahwahnee. We were able to get a nice table outside for a late lunch. Sharon and I had taco salads, while Jack had lamb chops. We left the valley about 2:00 pm. It was an easy drive back to Carmichael. With a quick stop for gas, we were home a little before 6:00 pm. It was a great gateway. Sharon and I both enjoyed having a chance to spend some time with Jack!